The following article first appeared in the Practical Hermeneutics column of the CHRISTIAN RESEARCH JOURNAL | Self Esteem from a Scalpel, Volume 33, Number 04 (2010). When I graduated from college in 1989, it looked like socialism was dead. The Soviet Union—the Union of Soviet Socialist Republics—was in its death throes. In comparison, the American economy was booming, and countries around the world were beginning to liberalize their markets. After a sophomoric flirtation with socialism, I had concluded that capitalism was probably the most workable economic model. I had not resolved my lingering suspicions, however, that capitalism was immoral and that socialism was still the Christian ideal. Part of that impression came from biblical passages that seem to suggest as much: “Now the full number of those who believed were of one heart and soul, and no one said that any of the things that belonged to him was his own, but they had everything in common.…There was not a needy person among them, for as many as were owners of lands or houses sold them and brought the proceeds of what was sold and laid it at the apostles’ feet, and it was distributed to each as any had need” (Acts 4:32–35 ESV). Many who have read this passage have wondered if the early church was communist and the Christian ideal is communism. After all, this was the first church in Jerusalem. They were “filled with the Holy Spirit and spoke the word of God boldly” (Acts 4:31 NIV). If they didn’t get it right, who did? On the surface, this looks like communism, but that’s a misreading. The details and context here are everything. 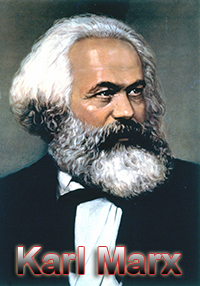 First of all, modern communism is based on Marx’s theory of class warfare, in which the workers revolt against the capitalists—the owners of the means of production—and forcibly take control of private property. After a while, Marx predicted, the socialist state would wither away and you’d get a communist utopia in which everyone lived in peace, harmony, and preternatural freedom. There’s none of this class warfare stuff in the early church in Jerusalem, nor is private property treated as immoral. These Christians are selling their possessions and sharing freely and spontaneously. Second, the state is nowhere in sight. No Roman centurions are showing up with soldiers. No government is confiscating property and collectivizing industry. No one is being coerced. The church in Jerusalem was just that—the church, not the state. The church doesn’t act like the modern communist state. As Ron Sider notes, “Sharing was voluntary, not compulsory.”1 In fact, sharing by definition is voluntary. It’s easy to lose sight of this later in the text, though, when Peter condemns Ananias and Sapphira for keeping back some of the money they got from selling their land. If you don’t read it carefully, you might get the impression that he condemns them for failing to give everything to the collective: “Ananias.…why has Satan filled your heart to lie to the Holy Spirit and to keep back for yourself part of the proceeds of the lands? While it remained unsold, did it not remain your own? And after it was sold, was it not at your disposal? Why is it that you have contrived this deed in your heart? You did not lie to men but to God!” (Acts 5:3–4 ESV). But look closely at the text; Peter condemns them not for keeping part of the proceeds of the sale, but for lying about it. In fact, he takes for granted that the property was rightfully theirs, even after it was sold. So Peter isn’t condemning private property. Third, the communal life of the early church in Jerusalem is never made the norm for all Christians everywhere. In fact, it’s not even described as the norm for the Jerusalem church. What Acts is describing is an unusual moment in the life of the early church, when the church was still very small. Remember, this is the beginning of the church in Jerusalem. Thousands of new Christians probably had come from a long distance to worship in Jerusalem at Pentecost. They would have had to return home soon after their conversion if not for the extreme measures taken by the newborn church to allow these Christians to stay and be properly discipled. Given the alternatives, a mutual sharing of possessions seemed to be the best course of action. Compared to modern nation states, the Jerusalem church was a small community banding together against an otherwise hostile culture. The circumstances were peculiar. For all we know, this communal stage lasted six months before the church got too large. It’s unlikely that all these new Christians, many denizens of the far-flung Jewish Diaspora, stayed in Jerusalem for the rest of their lives. Many probably returned home at some point, and brought their new faith with them. We know from the New Testament that other churches in other cities had quite different arrangements. For instance, Paul sternly warned the Thessalonian Christians, “If a man will not work, he shall not eat” and told them to “earn the bread they eat” (2 Thess. 3: 10, 12 NIV). Apparently some new Christians had begun to take advantage of the generosity of their new brothers in the faith. That’s not an especially surprising scenario, given the effects of the Fall. So it’s no surprise that the early communal life in Jerusalem was never held up as a model for how the entire church should order its life, let alone used to justify the state confiscating private property. Communal living does have its place. Nuclear families live more or less communally. In functional families, however, someone is in charge, namely, the parents. So it’s not really a commune. The Pilgrims and Communism.. In fact, even most private, voluntary communal experiments fail. American children hear the story of William Bradford at Thanksgiving. Bradford was the architect of the Mayflower Compact and the leader of a small band of separatists who founded the Plymouth Colony in Massachusetts in 1620. Most young students learn that the colony lost half its population during its first, harsh winter, but few know about the colony’s brief and tragic experiment with collective ownership. Because of an ill-conceived deal made with the investors who funded the expedition, the Pilgrims held their farmland communally rather than as private plots. They divided their food, work, and provisions evenly. This may sound nice, and the Pilgrims may have thought they were replicating the model of the early church in Jerusalem; but before long, conflicts arose among the colonists. Bradford reports in his journal what economists and common sense predict. In large groups, such an arrangement leads to perverse incentives, in which the lazier members “free ride,” taking advantage of the harder working. The other members grow more and more frustrated, and less and less productive. That’s just what happened in the early years of Plymouth Bay Colony. To solve the problem, Bradford soon decided to divide the plots up to the individual families. Suddenly people had strong incentives to produce, and they did. Over the years, more and more of the land was privatized, and the colony eventually became a prosperous part of the Commonwealth of Massachusetts.4 If Bradford had not had the guts to divide the commune into private lots, our school children would not be making little cutouts of turkeys and Mayflowers every November, since there probably would have been few if any survivors. The Early Christians Weren’t Communists—and We Shouldn’t Be, Either. The take-home lesson should be clear: neither the book of Acts nor historical experience commends communism. In fact, full-bodied communism is alien to the Christian worldview and had little to do with the arrangement of early Christians in Jerusalem. While there have been and still are small, atypical groups that manage to pull off some form of communal living, at least for a while, there’s no reason to think that communal living—let alone communism—ever has been the Christian ideal. Jay W. Richards is the author of Money, Greed, and God: Why Capitalism Is the Solution and Not the Problem (Harper-One, 2009). Ronald J. Sider, Rich Christians in an Age of Hunger (Nashville: W Publishing Group, 1997), 78. See Rodney Stark, The Victory of Reason: How Christianity Led to Freedom, Capitalism, and Western Success (New York: Random House, 2005). For a detailed history of communism/socialism, see Joshua Muravchik, Heaven on Earth: The Rise and Fall of Socialism (San Francisco: Encounter Books, 2003). Tom Bethell, The Noblest Triumph: Property and Prosperity through the Ages (New York: Palgrave Macmillan, 1999), 37–45. For Christians, the question of “God and evolution” is becoming more acute. For decades, of course, liberal Christians have found ways of accommodating their theology to Darwin’s theory of evolution. But these days, otherwise conservative evangelicals and orthodox Catholics seem to be doing the same thing. For evangelicals, there seems to be a desire to overcome the “Scopes Monkey Trial” stereotype that has prevented reasonable discussions of the subject for over eighty years. Orthodox Catholics, for their part, seem intent to overcome the “Galileo stereotype” that says the Catholic Church is anti-science. So now we’re seeing all sorts of proposals for reconciling Christianity and Darwinism. But surely any attempt to reconcile scientific claims with theological claims should determine (1) what those respective claims are, and (2) what is true. When it comes to Darwinian evolution, however, that’s easier said than done. That’s because the word “evolution” means all sorts of different things and it’s not easy to separate the evidence for Darwinian evolution from its marketing. In God and Evolution, the contributors and I try to provide some much-needed clarity to the debate, so that disputants will not argue past each other. We decided not to weigh in on specific theological controversies such as the historicity of Adam and Eve (though that is a very important question). Clarity requires asking the right questions. The most common question I am asked when dealing with this issue is something like: “Isn’t evolution just God’s way of creating?” Regrettably, that question begs all the good questions, such as: What is “evolution?” What evidence is there that natural selection and random genetic mutations can create new biological systems? And my personal favorite: Can God guide an unguided process? Jay W. Richards, Ph.D., is the author of Money, Greed, and God: Why Capitalism Is the Solution and Not the Problem (HarperOne, 2009). His feature article, “Think Clearly about God and Evolution” on which this post is based appears in the Volume 35, No. 1 special origins issue of the Christian Research Journal available by donation. Jay Richards will join Hank Hanegraaff on the Bible Answer Man broadcast in February to discuss the pivotal apologetic topic of origins! Tune in daily at 6PM ET at our website, www.equip.org! The Bible Answer Man can also be heard daily on Sirius-XM satellite radio on Family Talk channel 131.The Bible Answer Man can also be heard on local radio stations. Click here for stations and times. 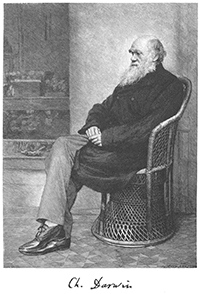 To his credit, Charles Darwin recognized there were instances of extravagant beauty in the living world that could not be explained by his original theory of evolution by natural selection, so in The Descent of Man he developed his theory of sexual selection to fill the explanatory gap. There he argued, in essence, that the butterfly has extravagantly colored wings, the better to attract a mate, reproduce and pass its beauty pageant qualities on to future generations. 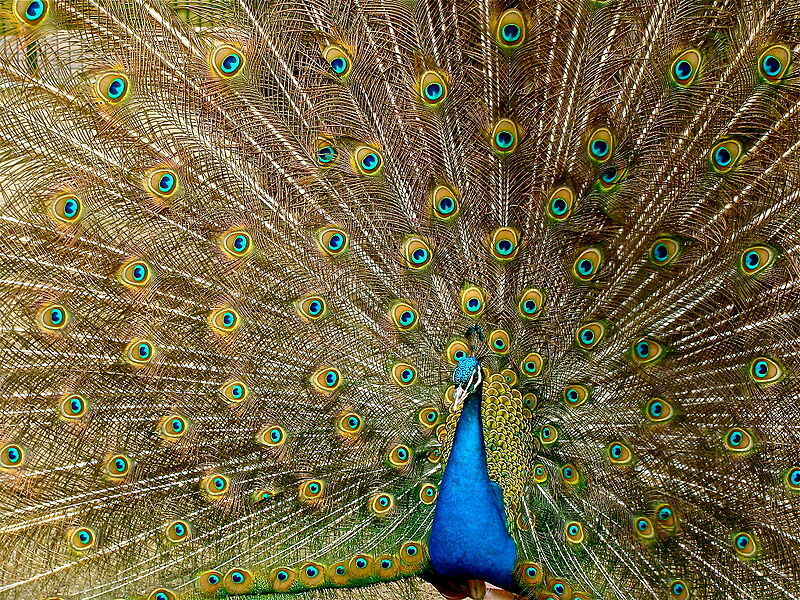 Darwin’s theory of sexual selection is brought in to explain problems like the peacock’s tail. While Brad Pitt’s good looks might have no survival-of-the-fittest downside, a peacock’s pride and glory can get him killed. His enormous tail slows him down, making it easier for predators to catch him. So why would nature select for bigger and bigger peacock tails? Because, according to Darwin’s theory of sexual selection, pea hens are attracted to them. The theory has a superficial plausibility, but a problem emerges if you scrutinize it long enough. Imagine you have a population of pea fowl. Most of the peahens select their mates in the standard natural-selection way—according to how fast the peacocks can take off, by how well they can handle themselves in a fight with other peacocks, that sort of thing. But over a serious of generations a line of peahens develop with a pronounced artistic streak, leading them to start sidling up to peacocks with bigger, brighter tail feathers. So far, so good. We now have peahens selecting for big, bright tail feathers, which presumably will tend to lead to bigger and brighter peacock tails in future generations. But the question is: Why would natural selection prefer these pea hens with their impractical disposition over pea hens with survival-oriented selection criteria? In other words, why would these artistically inclined peahens evolve in the first place? Darwin’s theory of sexual selection doesn’t give us an answer. It moves, rather than solves, the problem of the impractical peacock tail. Common reason would urge a person to at least consider the possibility that a great artist lay behind the many instances of extravagant beauty that we find in the living world, but for many Darwinists, common reason has been ruled out of court ahead of the evidence. 1. Often times the more attractive animal is the healthier, fitter animal. And certainly these animals will generally have an easier time finding mates and reproducing. How is this age-old insight different from what Darwin was claiming with his twin theories of natural selection and sexual selection? 2. Socio-biologist Edward O. Wilson emphasizes that even the works of artistic genius need to be explained in purely evolutionary terms. How might this view transform the way people think about great art, music and literature? 3. The investigative rule known as methodological materialism insists that scientists only consider natural causes for natural phenomena, never intelligent design. Is this more reasonable or less reasonable than being willing to follow the evidence wherever it leads, even if the evidence points to intelligent design? Jonathan Witt, Ph.D., is a senior fellow with Discovery Institute’s Center for Science and Culture and co-author of A Meaningful World: How the Arts and Sciences Reveal the Genius of Nature (IVP Academic, 2006) and Intelligent Design Uncensored (IVP Books, 2010). Listen to Hank Hanegraaff’s interview with Jonathan Witt on the design and genius of nature featured on the September 20, 2011 Bible Answer Man broadcast. CRI also recommends: Jonathan Witt, “Darwin vs. Beauty: Explaining away the Butterfly,” Christian Research Journal, 34, 5 : 42-43. (This issue is forthcoming). CRI also offers United States and Canadian residents a 1 year (6 issues) subscription to the Journal for $39.50 US. A 1 year (6 issues) foreign subscription is also available for $79.00 US. Click here to subscribe.